Science experiments and STEM for active kids! Save this idea for later! “Ghosts are spooky. I love them,” my preschooler informs me. My daughter is a one-of-a-kind girl, and is absolutely in love will everything spooky and creepy. She’d be just as happy to make zombie slime as she is to play with princess slime. In part due to my daughter’s extreme love of all things creepy, this Halloween, we’ve made it our mission to do as many fun Halloween STEM activities as possible. 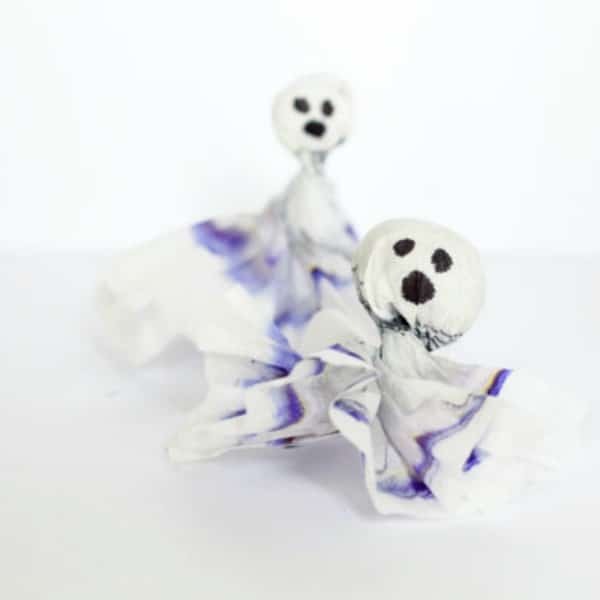 When my daughter told me she loves ghosts, I knew there was a way to make her ghostly obsession into a STEAM activity that would be both educational and adorable! 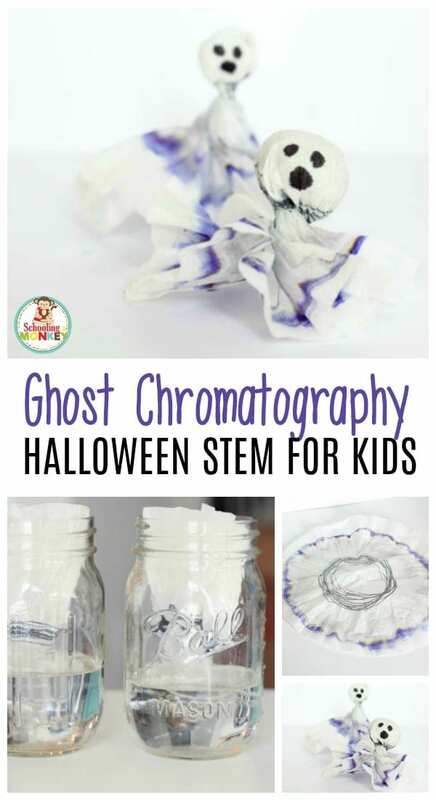 I love how the ghost chromatography experiment turned out, and it is not only fun for at-home projects, but it is also classroom-friendly! Don’t miss the complete list of Halloween science experiments! Kids will love transforming this science activity into a ghostly Halloween decoration! 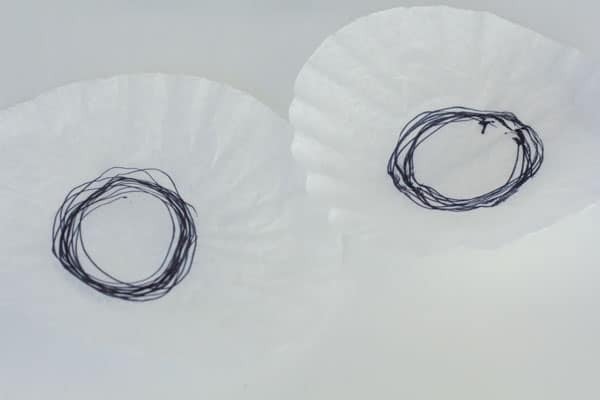 Draw several black circles around the middle of the coffee filter, but not the very middle. You don’t want the ink to ever touch the alcohol directly. 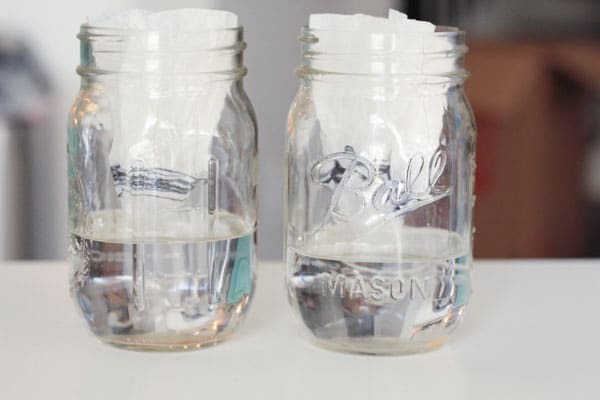 Fill a mason jar about half-way with rubbing alcohol. Fold the coffee filters into a triangle shape with the middle pointing down. Let the very tip of the coffee filter just graze the surface of the alcohol. Use a clothespin to hold in place. Leave the coffee filter in the rubbing alcohol for 24 hours, or until the liquid works its way to the edge of the coffee filter. Take out the coffee filter and let it dry. Fold the center of the coffee filter around a pom pom and twist the filter to hold the head in place. Draw on a ghost face with a permanent marker. Your chromatography ghosts are done! Markers are made up of a bunch of colors, particularly black. 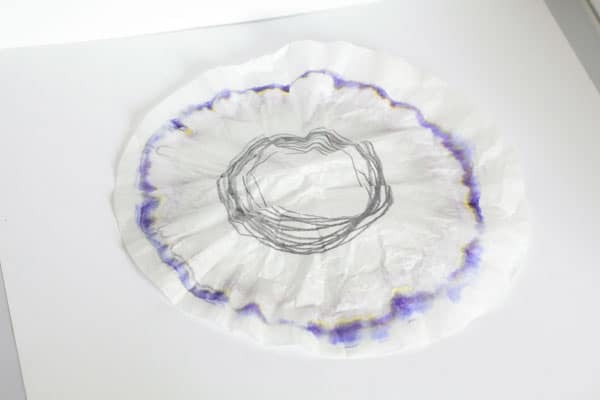 When you suspend the coffee filter in alcohol, it slowly separates each of the colors contained in the black ink, revealing that black is really made up of a bunch of fun colors! 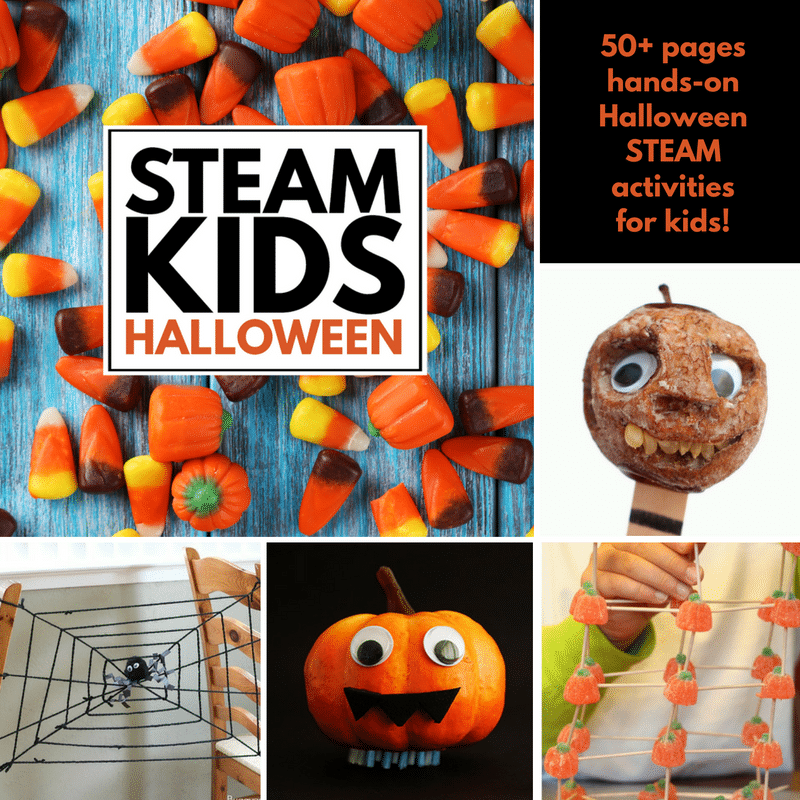 Find more amazing Halloween STEAM activities in the STEAM Kids Halloween book! Brenda grew up thinking she hated science. But when her 4-year- old daughter was more interested in reading science facts than fairy tales, Brenda realized she had to learn more about science to keep up with her daughter. Through simple at-home science experiments, Brenda developed a passion for science and now acts as an advocate for STEM education for kids at her website STEAMsational.com. Adult supervision is recommended for the projects on this blog. Please read the instructions and recommended ages for each activity before deciding if the activity is appropriate for the children or child who will be doing the activity. Schooling a Monkey is not responsible for any damage or injuries that occur while replicating any of our activities. We strongly recommend taking any and all safety precautions before completing any of the activities listed here.